The vernal equinox is approaching, which means Spring is almost here! Let Winter’s incubation give way to regenerative resilience, as we observe the most tender part of the cycle of life around us, as the earth comes back breathing a plethora of new growth and possibility. It’s a fertile time for new beginnings, and also a moment to reflect before the rites of Spring in New York are in full swing. 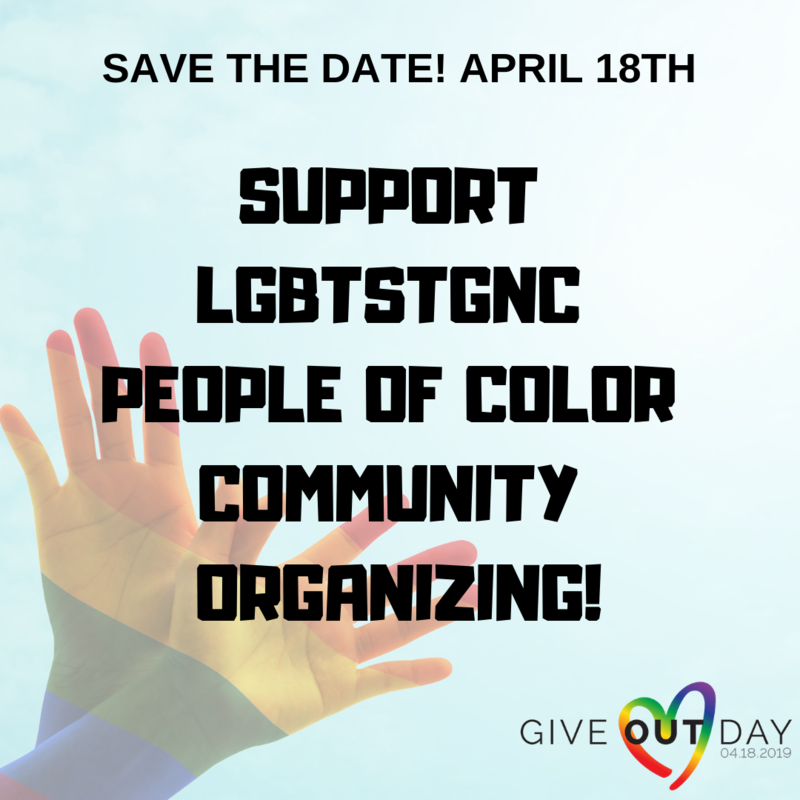 Let the abundance of the new season inspire you to put #GiveOutDay on your calendars, on April 18th. This is an annual giving ritual for organizations that serve our LGBTQIA communities. 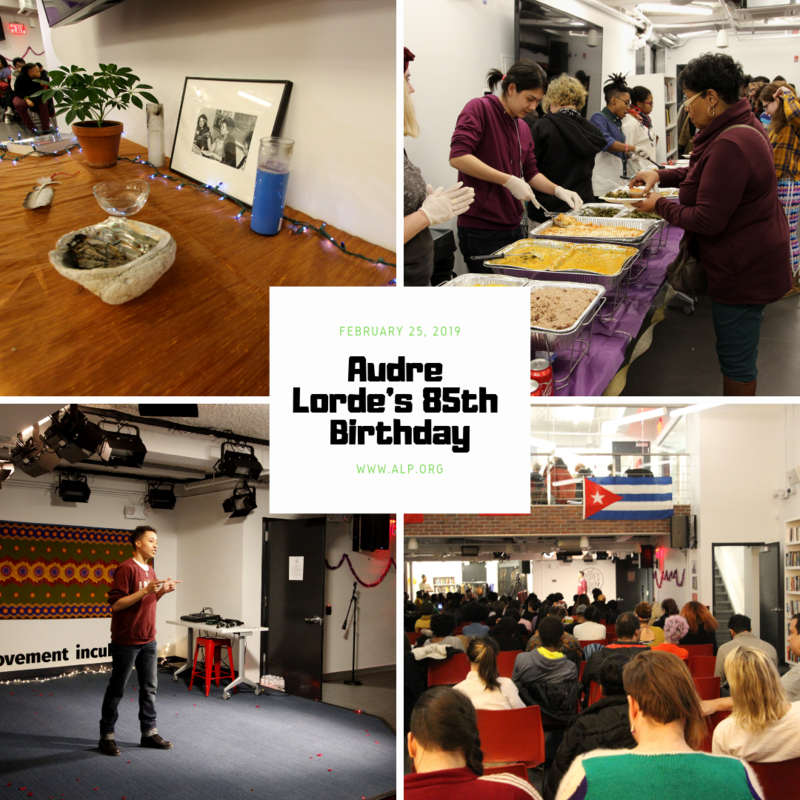 To reflect, in February we celebrated Audre Lorde’s birthday! We brought on Rumi as our Full Time TJ Coordinator, Chauvet as our 3rd space fellow, and Meejin as our temp admin assistant. The organization is growing and shifting with challenges and possibilities, infused with potential as one season gives way to the next. 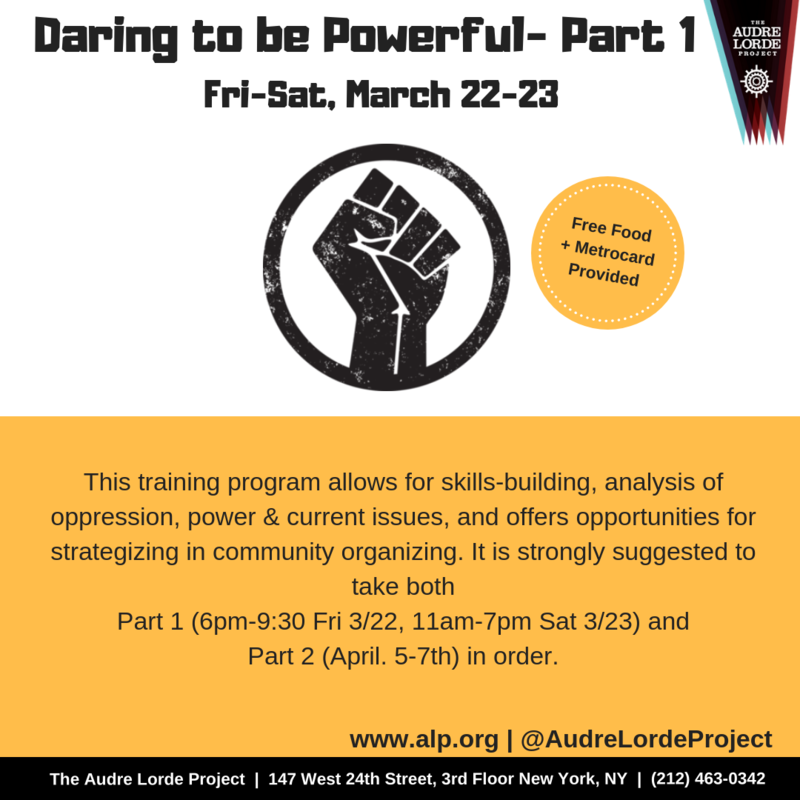 As part of our monthly interview series, this month we want you to meet Meejin Richart, a long time member of ALP, who will be assisting us with the behind the scenes admin work that keeps the organization’s daily functions in working order so we can keep bringing you the fortifying programming and rituals that glue our communities together. We’re blessed to have your attention, and want to share gratitude with you for making growth possible, especially in these fraught political times. 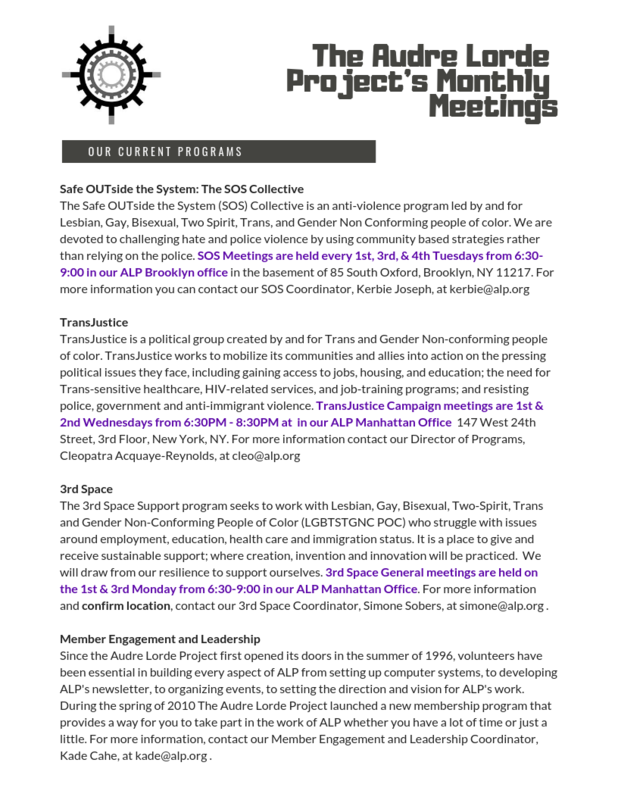 Your contributions provide capacity for our staff and members to show up in solidarity for our ally organizations, and for one another in building strategies for change and self-protection. Thank you!